A teeth-straightening solution for your active child. 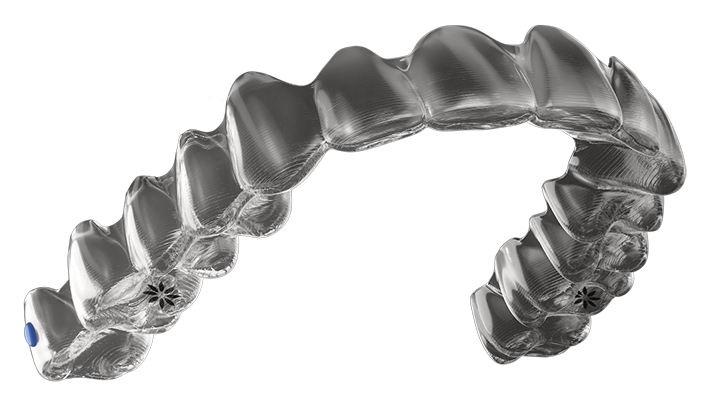 Invisalign aligners offer a clear alternative to traditional braces. Instead of brackets and wires, they’re made of smooth, clear plastic that’s virtually invisible. They’re also removable, so your child can keep enjoying contact sports, playing wind instruments and eating their favourite foods. Download our detailed Parent Info Kit for more information. Invisalign aligners at a glance. Custom-made and smooth to wear without traditional brackets and wires. Wear for the recommended 22 hours a day with little disruption - from brushing and ﬂossing, to eating whatever they like. People may not even notice they’re straightening their teeth, so your child can continue to smile with conﬁdence throughout their treatment. *Data on ﬁle at Align Technology. Invisalign treatment for their child. Cenk shares why he chose Invisalign treatment for his son. Why are retainers an important part of Invisalign treatment?